Dodge Cummins Diesel Forum > TECH Exchange > What is This? > Box with wires under hood? Hey y'all. Ive got a 2011 6.7 3500 DRW here in NC. 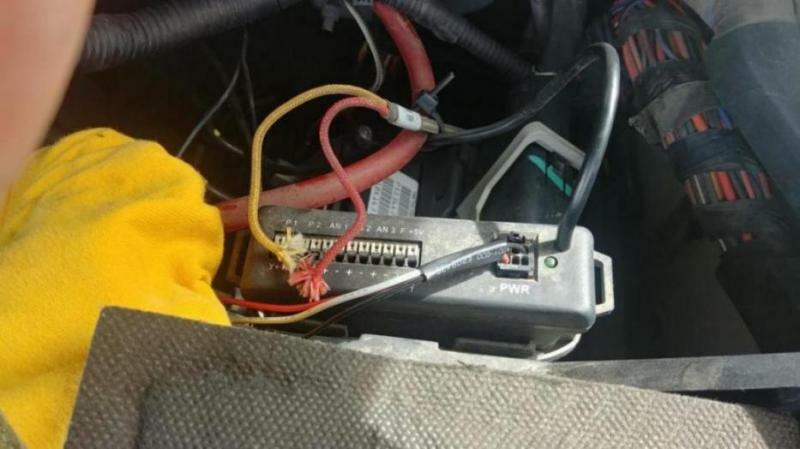 The truck is recently new to me and as I look around I found a box with a power light and wires hanging out of it. I know that it must relate to a few different things. For example when i hit a big enough bump my speakers static and shut off until the truck sits off for a while. But sometimes I can get out and shake the wires around on this box and it'll come back on. Does anyone know how to fix or maybe get rid of it? Or tell me why it's a good or bad thing to have? Thanks a ton for reading. That’s a “junction box” for aftermarket sensors. Looks like a pyrometer is currently installed. Thanks for the quick reply! I dont currently have any type of gauges in the truck so may be they were taken out. Outside of that would it make sense to have wires that could be connected to speakers and other electronics in that box? Coming back to this post. I have this box but i am about to remove the existing EGT plug to add a new one with the tuning set up i just purchased. The new one plugs into one of the new wires then into the OBD2 port. Do i just unplug it and forget it?